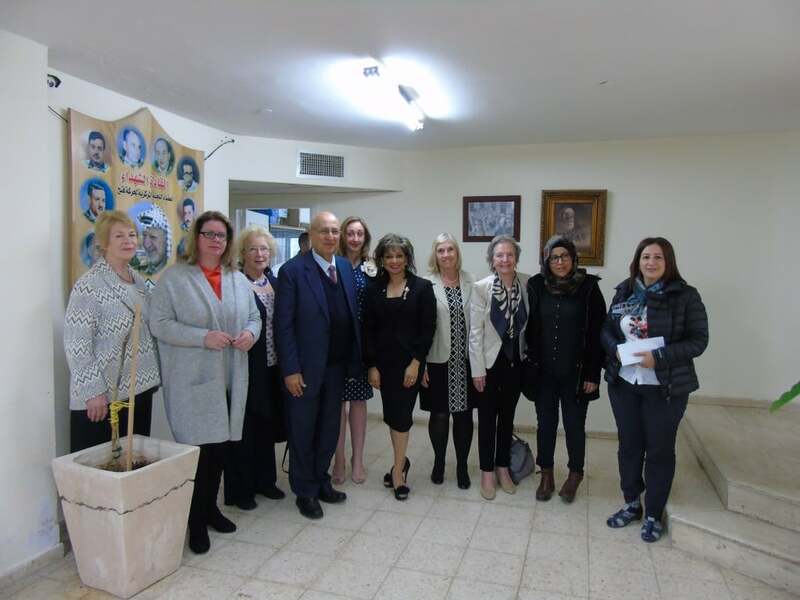 CFI led a delegation to Israel and the West Bank with nine leading members of the Conservative Women’s organisation in March – seven of whom were visiting for the first time. 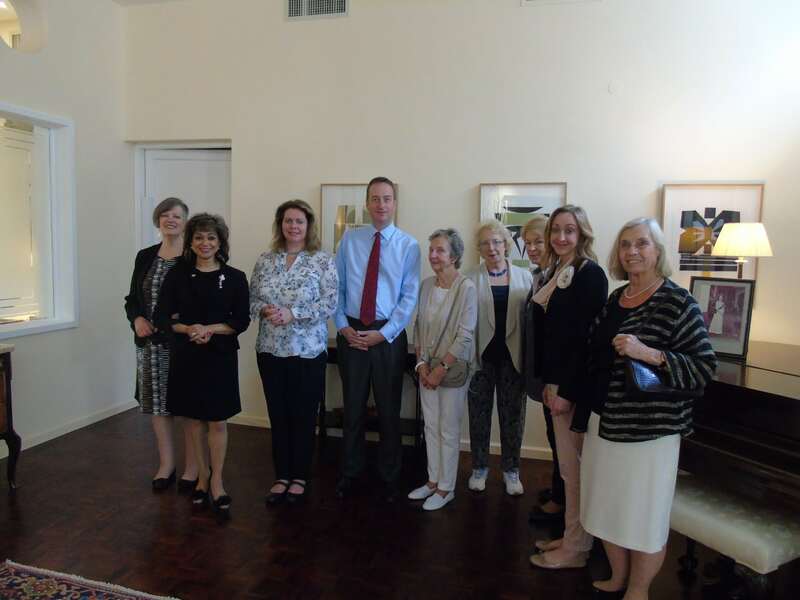 The delegation featured a full itinerary of political and security briefings, giving the CWO group a first-hand look at the latest situation in Israel, as well as cultural and historical visits. 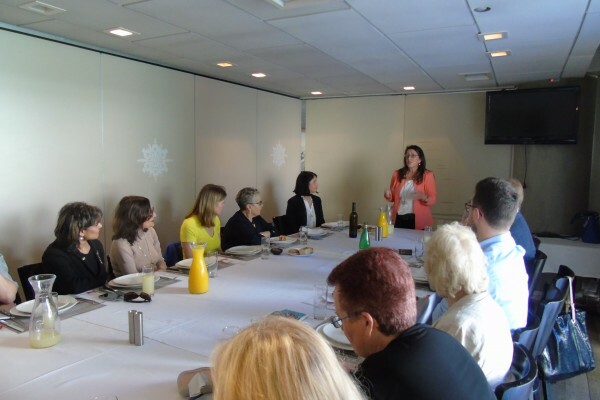 A number of the meetings with business people and NGOs were focused on issues concerning the position of women from across Israeli society, and the empowerment of women. On Thursday morning, the delegates met with British Ambassador to Israel, H.E. David Quarrey, at his residence in Tel Aviv, who gave a nuanced introduction to some of the key issues faced by Israel currently. 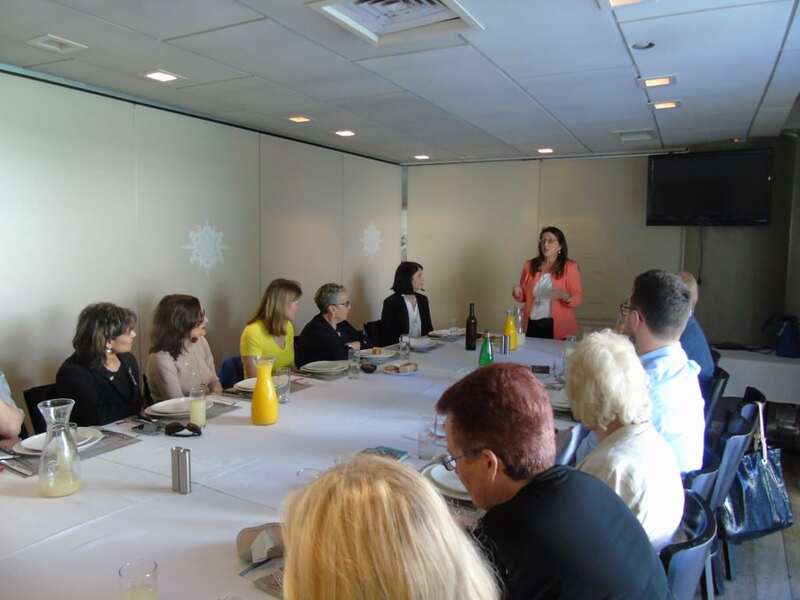 The group met for lunch with leading Israeli businesswomen from the Israel-Britain Chamber of Commerce, where they discussed ways to promote innovation and spoke of some of the current challenges facing women from the Arab, Orthodox, and Bedouin communities within Israel in terms of business participation. 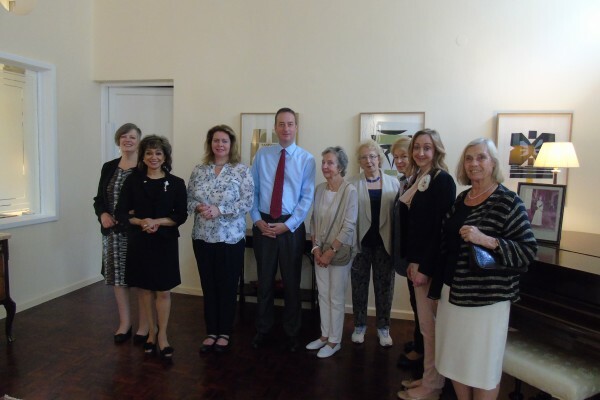 The delegates later met with one of the co-founders of the Israeli NGO The Women’s Courtyard in Jaffa, which works to empower marginalised women from the local community by providing a safe space and getting them into employment. 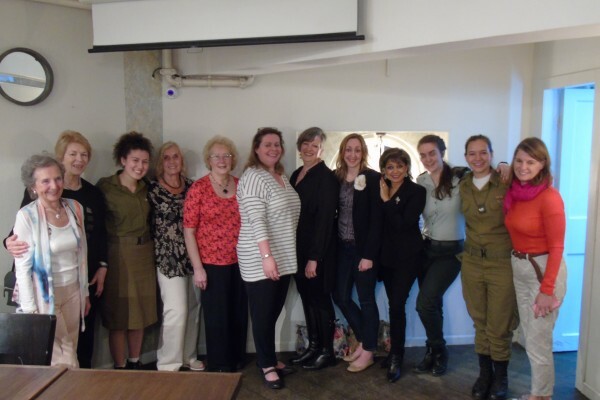 On Thursday evening, the group met with four female soldiers from the Israel Defense Forces. 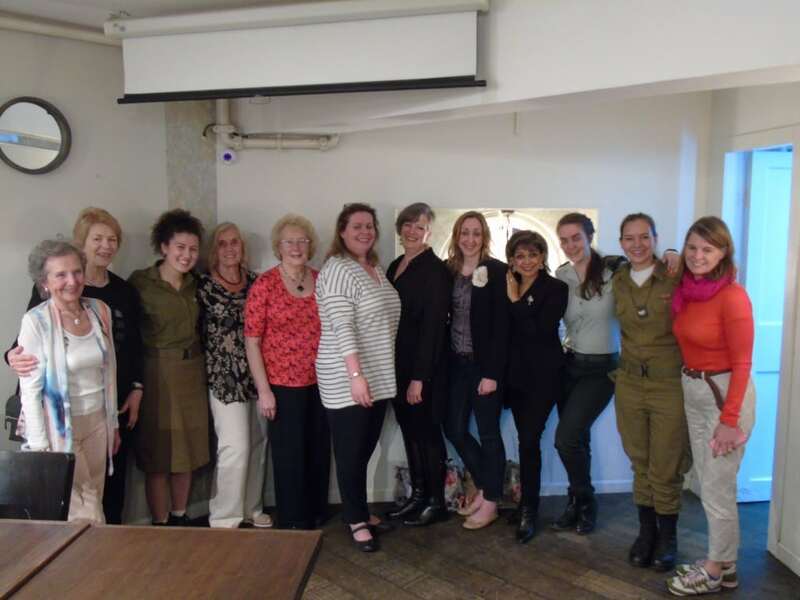 The delegation heard from the soldiers about their individual experiences of serving in the IDF as women, and about their respective roles in the Air Force, Spokespersons Unit, Legal Advisory Unit, and Search and Rescue Unit. It is mandatory for Israeli women two serve two years in the IDF from the age of 18, and more than 90% of IDF’s positions are open to women. During their visit, the delegation also met with Middle East analyst Jonathan Spyer, David Horowitz, the founding editor of the Times of Israel, and Professor Reuven Hazan, who informed the group about Israel’s colourful political system. 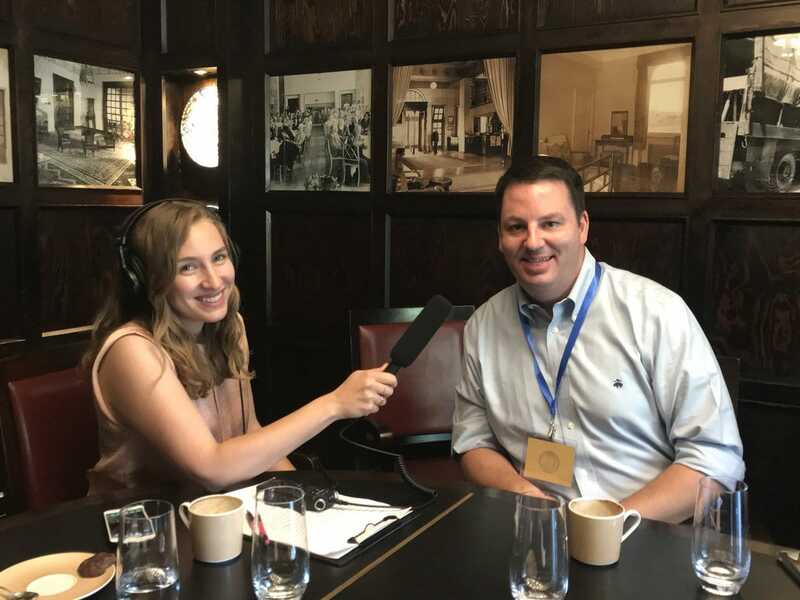 In Jerusalem, the delegates were given a tour of Israel’s Parliament, the Knesset, and met with a representative of centrist party Yesh Atid, and Sharren Haskel, an MK from Prime Minister Benjamin Netanyahu’s Likud Party. As part of the diverse itinerary, the group received security briefings on Israel’s northern border with Lebanon where Hezbollah is reported to have embedded an estimated 100,000 rockets into Shiite villages close to the border. The delegation then travelled to the Golan Heights and Israel’s border with Syria, overlooking the turmoil of the civil war. In Holon, the delegation visited Save a Child’s Heart where they met children from around the world receiving life-saving heart surgery, and spoke to a Palestinian surgeon from the West Bank who was being trained by Israeli surgeons at the Wolfson Medical Center. 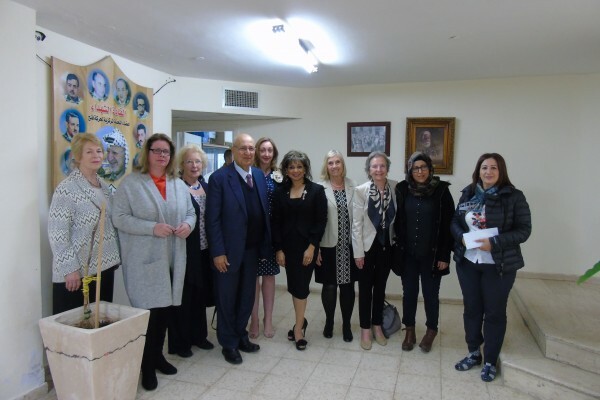 The delegation’s visit to the West Bank began with a meeting with senior Palestinian officials, including former chief negotiator Nabil Shaath in Ramallah. 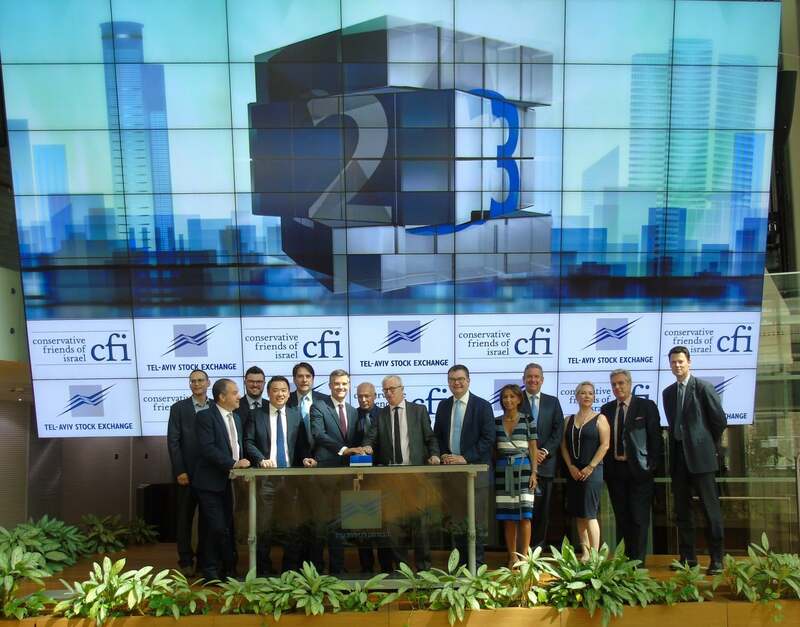 The meeting was followed by a tour of the first Palestinian-planned city of Rawabi, which seeks to be a prosperous centre for business and culture in the region, expecting to house 40,000 Palestinians. 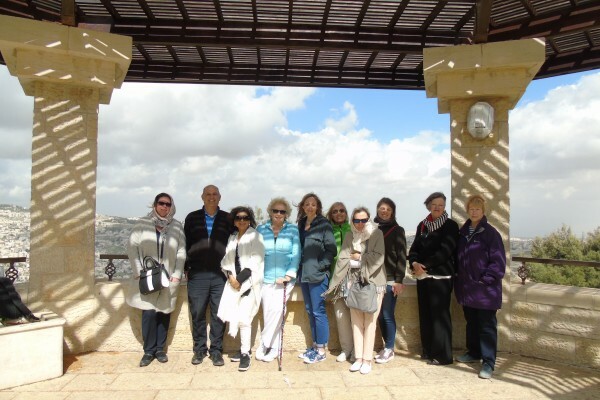 The delegates met with Rawabi’s visionary, Palestinian-American businessman Bashar Masri, from whom they learnt that the first 200 families had now moved into the city’s apartments. 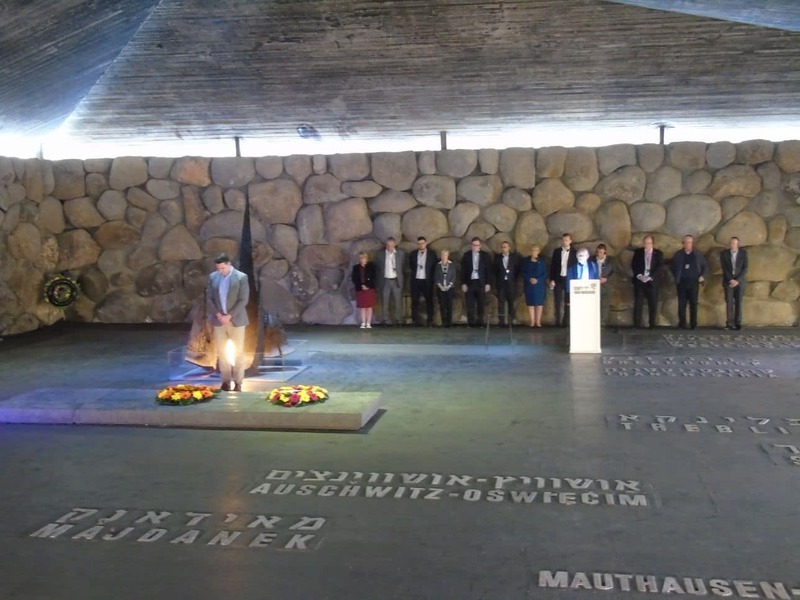 On the penultimate day of the trip, the delegation paid a moving visit to Yad Vashem Holocaust Memorial in Jerusalem and laid a wreath on behalf of the Conservative Women’s Organisation. This was followed by a comprehensive tour of Israel’s security barrier by Col. Dany Tirza, the chief architect of the project, who explained that 95% of the barrier consisted of chain-link fence and had been constructed as a response to Palestinian suicide attacks during the Second Intifada. 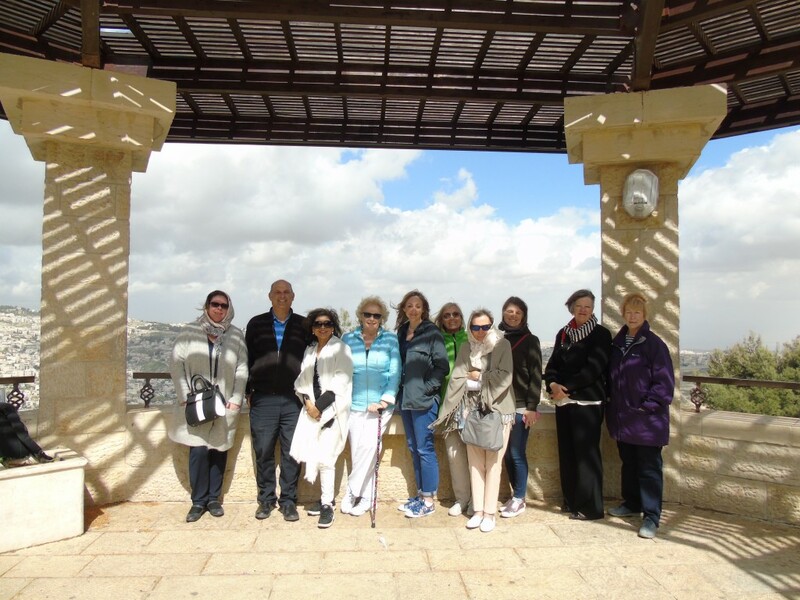 During the entirety of the visit, the group also saw numerous cultural, historical, and religious sites in Israel, including the ancient fortress of Masada, the Kotel Tunnels in Jerusalem’s Old City, the Dead Sea, and the Mount of Beatitudes in Galilee.